During a radio interview Monday morning (Aug. 8), AmericanIdol season 14 alum Jax revealed that she is battling thyroid cancer. The 20-year-old -- who finished in third place on the Fox competition show in 2015 -- was diagnosed in April and underwent surgery to remove the thyroid and other cancerous lymph nodes. Jax told NJ 101.5 host Bill Spadea that after her show at New York's Webster Hall in the spring, she was diagnosed with Hashimoto's disease, a condition in which one's immune system attacks the thyroid, according to the Mayo Clinic. It is most common in middle-aged men and women but can strike at any age. 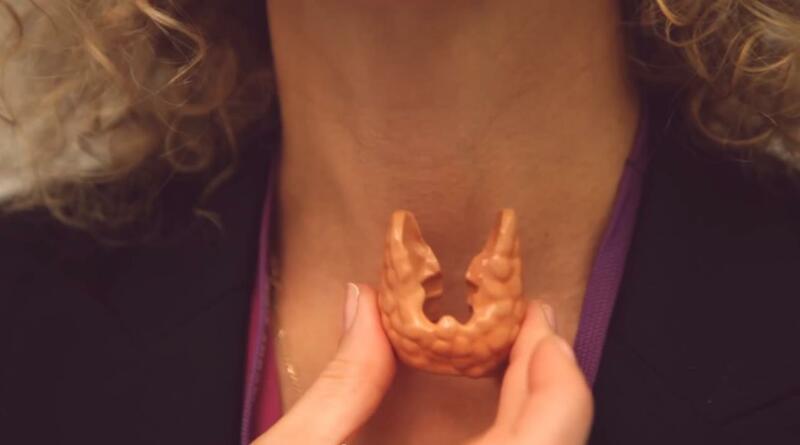 "People don't realize how important the thyroid is. It's more important than the actual brain," Jax said. "It was messing me up emotionally, putting me in a strange place." Shortly before the Webster Hall concert, Jax said she was already feeling off. "I was going through a lot, traveling a lot, living out of a suitcase. But I was waking up tired a lot, losing my voice and just kind of depressed and in a really dark place. My parents knew something was up because it wasn't normal," Jax said. While she was grocery shopping, she said, she felt a lump in her throat and reluctantly decided to get it checked out at an urgent care facility, which prescribed antibiotics and ordered an ultrasound and extra tests. The tests revealed 18 tumors on her thyroid -- 12 of which were cancerous. All were successfully removed (she refers to the surgical scar on her neck as a "shark bite"), and the singer is undergoing iodine treatments. "I'm radioactive right now," she said. Despite her struggle, the East Brunswick, New Jersey, resident said she is gearing up to compete in the Nov. 6 TCS NYC Marathon on behalf of Tuesday's Children and has set up a donation's page for fans to contribute to the run. She also will release new music in the fall. "I didn't want to publicize what I was going through, but my team and family insisted that it was something I should share with the people that have stuck by me all this time. I know I have been totally MIA for a few months and I do owe you guys an explanation. You have been with me through thick and thin," she said.